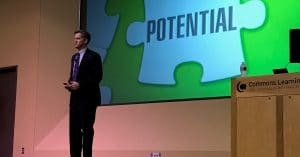 Seeking Motivational Speaker in Austin? Thom Singer, is an experienced master of ceremonies and professional keynote speaker who lives in Central Texas. He is an expert on achieving career potential who has presented for companies and associations across the United States (and beyond). Thom is an award winning speaker and author who combines actionable content with his inspirational and motivational storytelling presentation style. If you are planning your next conference in the State of Texas, Thom Singer may be the ideal speaker for your event. While no one speaker is the right choice for every meeting, Thom’s motivational keynotes will educate, inspire, and engage your audience. Singer sets the tone when he speaks to an audience and transforms the energy which impacts the attendee participation. This goes beyond “networking”. He creates an atmosphere where people will take real actions to interact with each other while present at the event. When people have better conversations and really connect, they have more positive feelings about the whole conference. As you prepare the “short list” of potential speakers in Austin, Singer needs to be on that list of experts you will interview. He will customize his presentation and create an interactive experience that will ripple out beyond his spot on your agenda. Motivational speaking is more than just delivering a presentation. Thom Singer knows it is an honor to motivate your audience. This means there has to be a path to real results. His programs are filled with engaging humor and interactive discussions, but they also have a series of actions that people can start to enact while still present in the conference center. If you seek more than a speaker for your association or corporate event, ask Thom about his “Conference Catalyst Program“, where he does more than speak and leave. In this role he stays involved with your conference as the master of ceremonies for up to four days. Singer has delivered over 800 formal business presentations in his career and is a proud member of the meetings industry. His commitment to the business of professional motivational speaking and his extensive experience is an added benefit for his clients. Thom is an excellent sounding board for those who want to find new ways to create a unique experience. Thom’s involvement with an event is usually more than just “speak and leave” (he find too many keynote speakers run to the airport immediately after their talk). Instead he is engaged with the client and their audience before, during, and after his speech. It is common to find him roaming the convention center hallway asking attendees about what they are enjoying about their visit to Austin and then weaves these conversations to his stage presentation. Discovering a speaker who is the right choice for your event should be more than a guess. Thom Singer wants to have an extensive conversation with you to ensure he is the correct fit to have a real impact on your audience. He offers a free “Conference Speaker Review” call to any meeting planner – even if he is not who they are looking to hire. 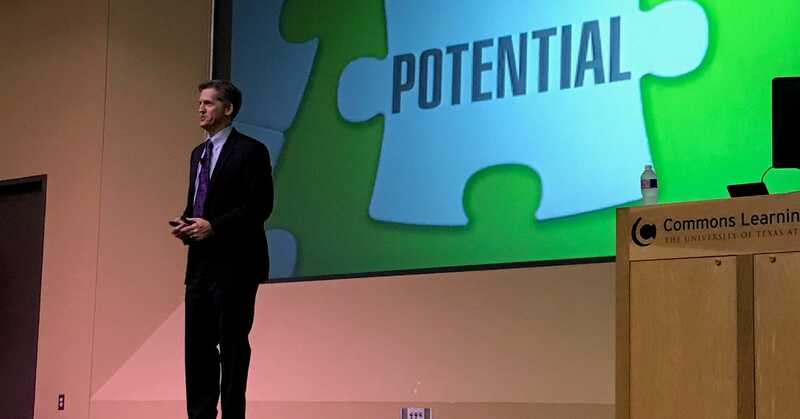 Thom speaks at large industry conventions, association meetings, customer / users conferences, and internal meetings for companies of all sizes. While his topics are well received by all industries, he has a specialty for the “left-brained professionals: – lawyers, accountants, engineers, bankers, real estate, technology, finance, IT, etc…. Smart people who are serious about work and life, but who need to achieve more, will stand up and applaud his messages. If you are seeking motivational speakers in Austin, Texas, call Thom Singer today. He is familiar working in all the local venues, including the Austin Convention Center, local conference centers and hotels.He can be booked through your favorite speakers bureau or directly at www.ThomSinger.com / (512) 970-0398. See him in action – Watch Thom’s Motivational Speaker Video. Thom Singer has lived in Austin, Texas for over 27 years. He well known as one of the most active motivational speakers in Ausitn, TX.